Radio Technology Services is committed to keeping the people we serve up-to-date on the latest news and issues with the potential to impact our services. Please be sure to check this page on a regular basis for information on known issues impacting our customers. 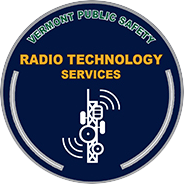 As a reminder, the channels for the Vermont State Police listed below were updated over the past several years to include a multi-cast design. If you have not updated your channels, you may experience less than optimal reception with transmitting or receiving as it relates to the locations below.